Home › *dance › Matthew Ball – The Royal Ballet’s prince in waiting? It seems an exceptionally good moment for homegrown ballet talent in Britain. The Royal Ballet School alone is producing a remarkable number of excellent dancers, many tipped for the top. 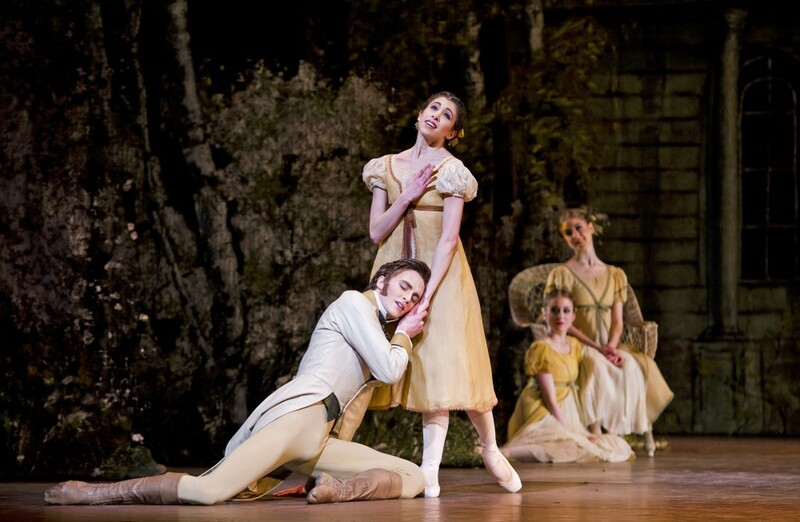 Two of these are Yasmine Naghdi and Matthew Ball who will make a joint début, as the young lovers Romeo and Juliet, with the Royal Ballet on 3 October. My dad is from Liverpool and my mum moved there from Newcastle when she met my father. Matthew is from a theatrical background. His father, Chris, is drama advisor to the city of Liverpool and an honorary research fellow at Liverpool University, though it was his mother, Liz, who was more influential on putting him on the path to Covent Garden. My mum didn’t actually dance professionally, but she did spend a year at White Lodge, attended the Italia Conti Academy, and went on to teach A-level dance. So she took me and my two older siblings to class. The other two did it for a while, but my brother hated it, my sister liked it a little, and I happened to be the one who really took to it. It just went on from there… a progression really. So what does Mum think, now that he’s dancing lead roles on one of the world’s most prestigious stages? I don’t think she imagined it for one second. She didn’t have it in her head to be a pushy ballet mum, and she certainly didn’t need for one of her children to become a ballet dancer, but I’m sure she’s incredibly proud and excited. In fact, it wasn’t his mother who suggested him auditioning for White Lodge, The Royal Ballet School’s base in Richmond Park. Gaynor Zwaagstra, who was his dance teacher at the time, had trained at the School and suggested that he should give it a try. I wasn’t forced into anything as from a young age I’ve always been competitive and serious about what I do. My mum was homesick when she left home for White Lodge so I think she was probably quite reluctant to let me go to be honest… I mean, a kid of 11. I wanted to though. I insisted, I think. Homesickness doesn’t put me off because dancing is what I really want to do; it’s everything to me. So he packed his bags and headed south to London and White Lodge, which has been home to The Royal Ballet School’s younger students since the 1950s. He didn’t look back. It’s was a surreal experience. A closed environment in the middle of a fantastic park, living in what was a royal hunting lodge… it’s out of this world really, perfect for intensive training. There’s very little outside influence, so you are in London but you could be anywhere. White Lodge is fab: the friends I made there and the experiences that I had… it’s one-of-a-kind really. 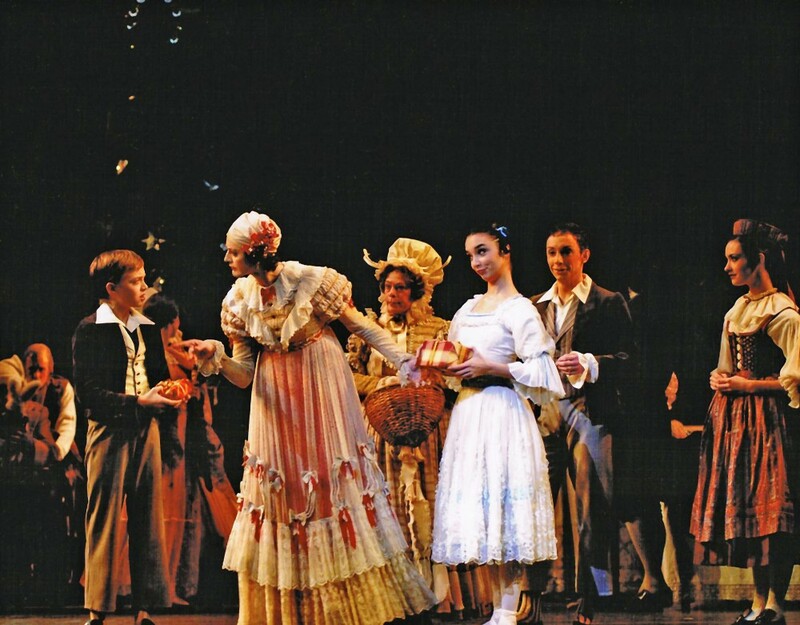 He soon found himself on stage with The Royal Ballet, because in December 2006 he was given that role that all young boys covet – the role of Fritz in The Nutcracker. However, for most of his first five years in London, he was immersed in the greenery of London’s Richmond Park. Then it was time to pack his bags and transfer to central London for his final three years. When you move on from White Lodge to the upper school in Covent Garden, it’s a huge shock to the system. We were suddenly dancing with lots of international students, right in the middle of Covent Garden – a world apart. Encountering the foreign students brought 16-year-old Matthew up short. The international students coming into the school scared me, to be frank, by how good they were and how far ahead of us they were, because they seemed to have developed much quicker with the sort of training that they’d done. We had boys from Mexico, Portugal, Colombia, Japan and Australia and all of them had a very mature kind of body and technique already. That was certainly a shock to my system. But it was a shock that stimulated action, and made him even more determined. I don’t think I could be the dancer that I am today without having been surrounded by the quality of those dancers throughout my training. Having said that, I was also around Yasmine, Frankie [Hayward] and the like, so you build up a collective force with these groups of people. The inspiration you get through being with such people and how it affects you is important. Matthew joined The Royal Ballet in 2013 and just recently was promoted to First Artist. I can’t really believe how well things have gone since I joined the company. There’s kind of a rite of passage that everyone has to go through; I didn’t expect to bypass it to some extent, and be able to do these roles so early. I’m still dancing in the corps for Romeo and Juliet, but it’s a peak to be dancing Romeo too. Olga and Lensky (Tatiana’s flirtatious sister and her idealistic lover) are wonderfully realised by Yasmine Naghdi and Matthew Ball. Naghdi is sprightly and clueless as a baby animal, Ball poignantly trapped in a futile dream of poetic honour. Both dancers are products of the Royal Ballet School, and both are rich with talent. Young dancers at The Royal Ballet have the fortune to be surrounded by excellent dancers from many different backgrounds so, without leaving their workplace or putting on a video, they can be stimulated and inspired by some of the finest talents in the world. I have to say that Johan Kobborg is someone I appreciate for his artistry and acting a lot, and the way he gets into roles. His Onegin is absolutely incredible and I find his Albrecht really moving. It depends on the role, but when I was at the bottom of the school, Sergei [Polunin] was graduating and I was thrilled to watch him. I found him inspiring, not only for his incredible natural ability but also for his stage presence: he always seemed so in control yet had a raw energy on stage, which is amazing to watch. Of course, both Baryshnikov and Nureyev obviously, who I’ve watched hundreds of times on video. 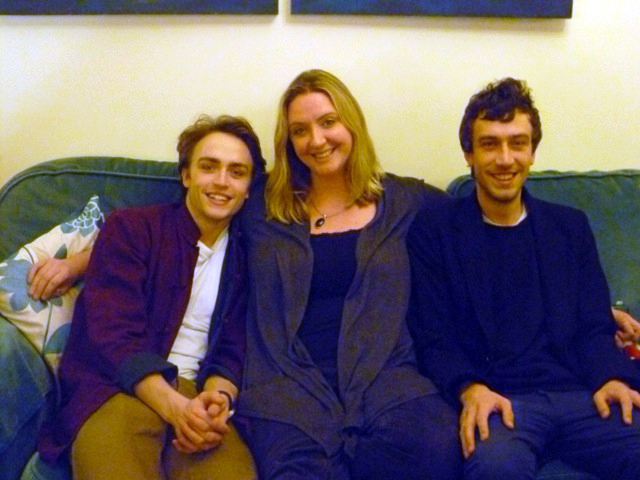 Polunin is just four years older than Matthew, and now at 21, Matthew is older than Polunin was when he found him so inspiring. Has it occurred to him that he might now in turn be inspiring younger dancers in the school and company? It has occurred to me momentarily, but I’m hardly used to being a leading dancer that people will look up to. Maybe it will feel like second nature after awhile but at the moment I’ve hardly had a moment to consider what this means and, more importantly, the responsibility that comes with such a role. Lensky… Romeo… what are the other characters to tick off on the list of dream roles? Albrecht is probably on the top of my list of the classical ballets. I want to dance many dramatic works, and so many of MacMillan’s ballets are a vehicle for real in-depth character exploration. Although I’m still very young, I’m already keen to dance roles such as Crown Prince Rudolf or Onegin where darker, complex and more mysterious characters can be discovered. The reason being that usually the male dancer must play a romantic lead who is subservient to the girl’s role. On the other hand, I have a deep desire to dance in some of Jiří Kylián’s ballets. I find his choreography limitlessly inventive, suggestive, playful and existential. A rare mix for any artist, and even more so, I believe, in the ballet world. Like Yasmine Naghdi, he doesn’t just listen to music as part of his day job, but makes it too when he’s ‘off-duty’. I believe music is inherently the first and foremost companion to dance. I studied clarinet growing up and occasionally I have a play around on it. I also taught myself a bit of guitar and am currently trying to learn the cello. On holiday I will always become aware of the little as well as the big differences in the style of life and want to capture them with my camera, particularly for my own memory. All activities to inform and enrich his dancing. I like to be reminded of the absurdity of ballet and life in general by any number of quotes… but Oh, the Places You’ll Go! by Dr Seuss always helps me get more out of my day! He’s riveting! I just “discovered” him a few hours ago. Thanks WorldBalletDay! A very good Lensky in Onegin. Great Interview, Graham! Thank you for having done it and what he says about the inspiration you get through being with such people is SO true!